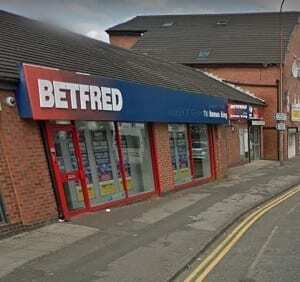 Here you can find out all about the Betfred betting shop on Lovely Lane in Warrington including opening hours and contact details for this particular shop. 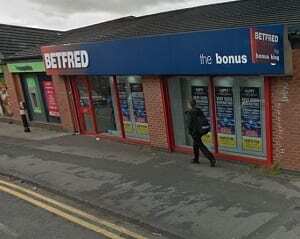 Below you can see a map showing the location of this betting shop so you can easily find it if you are in the local area and you want to place a bet. 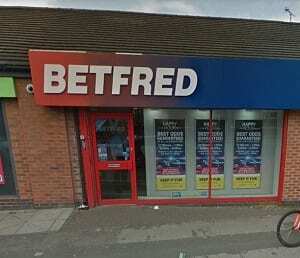 You can bet on a variety of different sports with this brand, check out the Betfred online sportsbook to see everything that’s available. Below are some photos of the shop itself so you can see where it is located if you are planning on making a visit yourself. 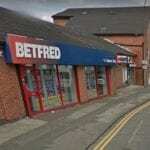 Here are the opening times for this Betfred shop which is open 7 days a week. It is open at various times so make sure to check before visiting yourself. 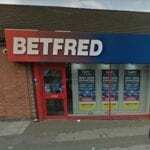 Also check out our list of UK Betfred shops to find more in different areas. There are plenty of sports you can bet on in your local shop as well as online. Check out the latest basketball betting sites for more offers on this sport. The license status: Active by Warrington Borough Council. Warrington is a large town and unitary authority area in Cheshire, England, on the banks of the River Mersey, 20 miles (32 km) east of Liverpool, and 20 miles (32 km) west of Manchester. The population in 2017 was estimated at 209,700, more than double that of 1968 when it became a New Town. Warrington is the largest town in the county of Cheshire. Historically part of Lancashire, the expansion and urbanisation of Warrington coincided with the Industrial Revolution, particularly after the Mersey was made navigable in the 18th century. The West Coast Main Line runs north to south through the town, and the Liverpool to Manchester railway (the Cheshire Lines route) west to east. The Manchester Ship Canal cuts through the south of the borough (west to east). The M6, M56 and M62 motorways form a partial box around the town. Rugby league is the town’s premier sport in the form of Warrington Wolves who were historically nicknamed “The Wire” because of Warrington’s history of wire making. The club moved in 2003 to the Halliwell Jones Stadium, leaving its home for over a century, Wilderspool Stadium. Warrington RLFC are the only team to have played every season in the top flight of rugby league. There are a range of betting sites for rugby league, make sure you have a look at these before placing any bets. We would also recommend having a look at the rugby league bet types too. Football is represented by Warrington Town at Cantilever Park, next to the Manchester Ship Canal. The club has several nicknames including Town, Yellows and The Wire. Warrington Town are currently in the Northern Premier League Premier Division following promotion in 2016. 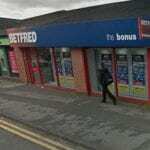 Many fans like to use Betfred when betting on these sports as you can bet both online and in local shops.